For the Illinizas, we combined both climbs in under 24 hours. 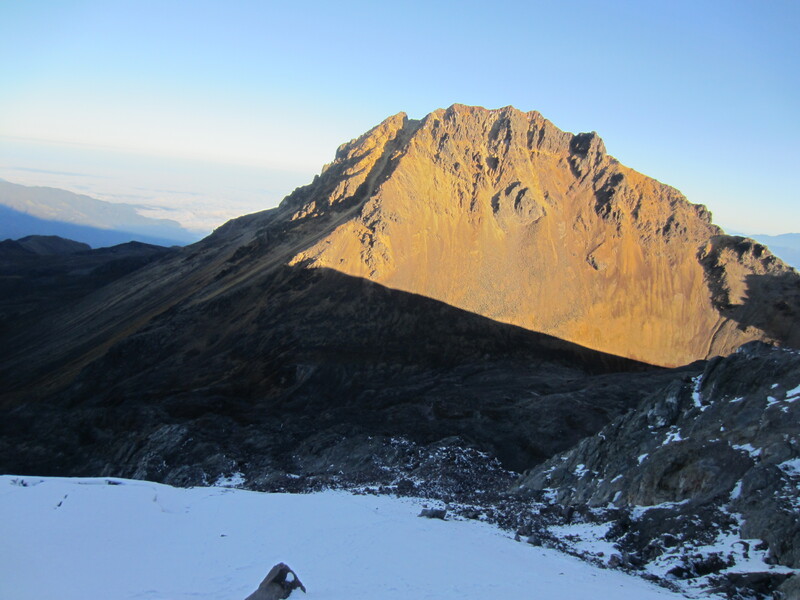 We climbed from the hut to the summit via the South East ridge, which is considered the normal route. The route is in great conditions and it consist of entirely rock climbing, AD Class III. The climb on Illiniza Norte was brilliant, with great weather and absolutely no traffic, leaving the mountain entirely to ourselves!